Peter Elliot Rosenberg, born on the 23rd July 1979, is an American radio and television personality, who became popular for being one of the co-hosts of radio show “Ebro in the Morning”, and for hosting his annual birthday concert “Peterpalooza”. So how much is Rosenberg’s net worth? As of mid-2016, it is reported to be $600,000, acquired from his years in radio, television and several other projects focusing on the hip-hop industry. Born in Chevy Chase, Maryland, Rosenberg’s love for hip-hop started with the influence of his brother. During his high school years in Bethesda-Chevy Chase High School, he received his first turntables, and officially started his career as a DJ right after matriculation. While attending the University of Maryland, Rosenberg also doubled as a host on their campus radio station WMUC-FM, covering the late-night show “From Dusk ‘Til Dawn”, serving hip-hop music to his fellow students. Right after graduation, he took on different hosting gigs in stations including WJFK-FM, WPGC and WHFS, that helped promote his name in the radio business and started his wealth creation. 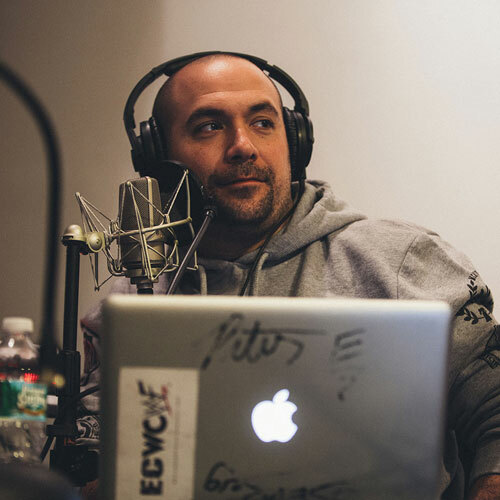 In 2007, Ebro Darden of New York radio station Hot 97 saw Rosenberg’s talent in his parody videos online, and hired him to be part of the station. Rosenberg’s career blossomed even more when he became part of his dream radio station; he immediately became part of Darden’s show “The Hot 97 Morning Show” taking the slot from 5am until 10 am. The show became an authority in the hip-hop world, featuring old and new artists and their music. With the success of the show, Rosenberg’s career and net worth started growing. Later he began hosting his own show on Hot 97, entitled “Real Late With Rosenberg”, taking the slot of Monday midnight until 2am. He also became part of the show “Juan Epstein” along with Cipha Sounds, that also focuses on hip-hop artists. In 2008, Rosenberg brought his passion to television with the series “Noisemakers”, an in depth interview with various artists in the hip hop scene. In 2009, he started his YouTube show “Wrestling With Rosenberg”, featuring different wrestling stars from Hulk Hogan to Mick Foley. With his growing fame in radio particularly in the world of hip-hop, in 2012 the television station MTV2 tapped him to host their show “Hip Hop Squares”, derived from the show “Hollywood Squares”, that lasted for two seasons. During the same year he also became known for starting his annual concert “Peterpalooza”, a yearly gathering of various artists in celebration of his birthday. With his various projects on both radio and television, Rosenberg became one of the most respected personalities in hip hop, and tremendously increasing his wealth. Today, Rosenberg is still active in his radio shows and other projects, adding “Cheap Heat” and “The Process” to the list of his many endeavours. In terms of his personal life, Rosenberg has been married to Alexa Datt, a sports caster, since 2012, and together they live in Upper West Side in Manhattan, New York City.